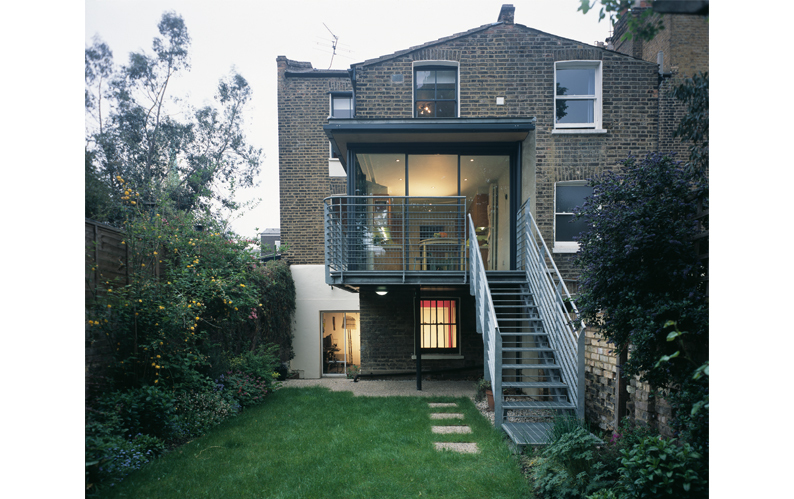 A typical Victorian terraced house, the brief was to link the garden with the house at upper ground level, to create an eating space in the kitchen. 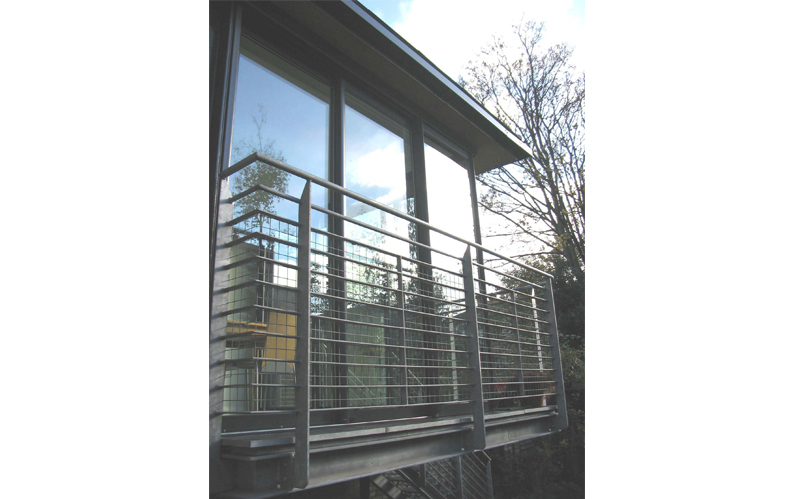 The single storey addition is raised off the ground, cantilevered using a large structural ‘C’ section fabricated with rolled steel channels. 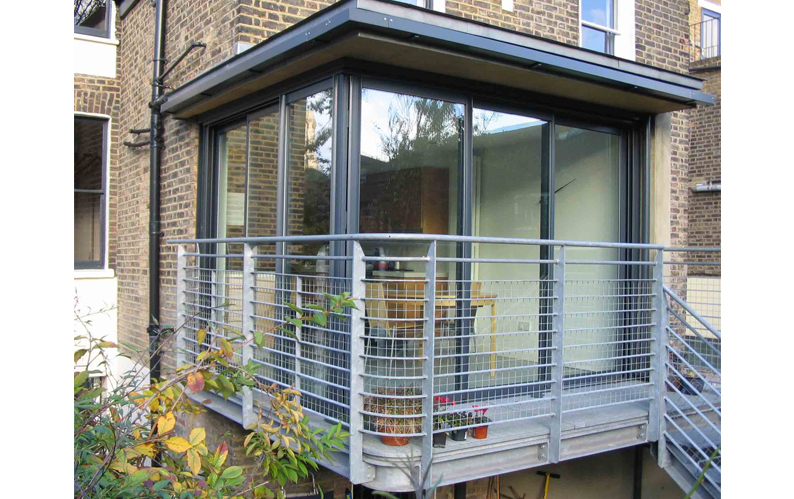 The walls of the new extension are sliding glass doors which cut into the existing brickwork. There are no visible supports at the corner, the doors slide in two directions from the corner giving a ‘look no hands’ appearance. The doors open onto a terrace which overlooks the garden.